As Addis Ababa is the federal capital and Oromia needs its own hub, there is a glorious solution to the dangerous Finfinnee debate. Almost invariably, Oromos of all stripes will tell you without any hesitation that the Ethiopian constitution puts Finfinnee/Addis Ababa under the State of Oromia. If you push further, some will concede that the constitution is ambiguous on this issue. But this is the biggest concession you can get. They are incorrect. It is a federal district. I do not know where the strongly, but wrongly, held popular belief comes from. I have not heard Oromia claiming Finfinnee to be under its jurisdiction. I have not seen the federal government conceding this. And I have not read any academics classifying Finfinnee as city jurisdictionally in Oromia. In spite of this, the belief persists. Facts don’t matter to some, and you cannot change fixed ideological positions. That also applies to those who reject the fact that Addis Ababa was created and expanded by displacing Oromo inhabitants. But for those with an open mind, below is my constitutional interpretation, followed by my suggestion. Note, the first section is not a value judgment, or a normative argument; it is a simple descriptive analysis of what the constitution says about the legal position of Addis Ababa. Capital cities are different from other cities in many aspects. They are regarded as symbols of the whole country; they promote national pride, articulate national identity and are centers of control. They are created to be awe-inspiring. Because they are composed of huge government buildings, museums, monuments, cultural and educational institutions etc., capital cities are regarded as manifestation of state power. Usually they are the largest cities, not only because they are political centers, but also because they are generally commercial capitals. Exceptionally, however, in federal countries, capitals are usually not the largest cities, and they are not necessarily commercial centers. Yet their symbolism is even more significant and special than in unitary states. They are special because federal countries are usually diverse or large or both. When a country is federal, large and diverse, the capital city should ideally reflect the diversity of the country. This is mainly achieved by asserting the neutrality of the capital by way of putting it outside the control of any one state. This means, in federal countries, federal capitals, in addition to other roles, also have an integrative function. As a result, the question of where to locate a capital city is a politically sensitive and complex issue. It is precisely to play this integrative function that major federal capital cities are all located on regional, linguistic or ethnic borders. For example, the site on which Washington D. C. was built was chosen because it is found in a central location between northern and southern states at the time; Ottawa, even though located in one province, was chosen as a capital because of its proximity to Quebec; Canberra is selected to avoid Sydney and Melbourne, the two big commercial and political centers; Abuja as a capital is built in its current location because it is in the center of the country and also because it located in the middle of the three major ethnic groups; Bern, even if located in one German-speaking state, was also chosen because it is close to French-speaking areas. In federal countries, unlike unitary states, we have two entities that have sovereignty: the federal state and the constituent units of the federation. The existence of such divided sovereignty, in addition to the “where to locate” question, adds an accountability question to the mix of the already complex question. The emergence of a federation for the first time on the political landscape made the question of, “To whom should the capital city be accountable” become a major political question. In unitary states, accountability of the capital is not a political issue. In federal countries, there are three types of federal capital governance structures. They are (1) Federal District, (2) City-State, and (3) Cities in States. Federal District capitals are distinguished from the others because they are under direct control of a federal government, have a legal position independent from states that surround them, and lack the constitutional sovereignty enjoyed by states. Examples of these are Washington DC, Canberra, New Delhi, and Abuja. The City-State type of a capital city is distinguished from the others due to its dual nature: it is both a city and a state. Unlike in the case of federal districts, the capital city is not accountable to the federal government or to any other constituent state. Just like any other state, it has constitutional sovereignty of its own. Examples of city-states are Brussels, Berlin and Moscow. The third governance structure is called Cities in States. Here, the federal capital is entirely located in one of the constituent states, and accountable to the states where it is located, which means it does not have its own sovereignty; it is just a simple municipality. The federal government has no direct control over such a capital city even though its seat is located there. Examples are Ottawa, Bern and Cape Town. Thus, to summarize, in order to know the governance structure of a federal capital, the major question we should ask is whether it is accountable to the federal government, state government, or whether it is a sovereign state in a federation. 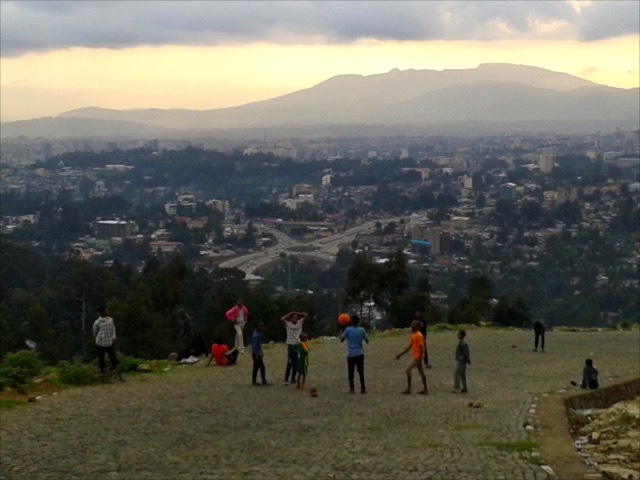 Addis Ababa was the capital city of Shewa and the modern Ethiopia Empire since its creation. After 1954 it was a Chartered city administered by a Mayor with some autonomy and accountable to the Ministry of Interior. The 1975 Urban Land Proclamation changed the governance structure and the next major change came with the demise of the Derg. Proclamation 7/1992 declared Addis Ababa one of 14 regional states. In the 1995 constitution however, it lost that status. Addis Ababa shall be the Capital city of the Federal Democratic Republic of Ethiopia. The Administration of Addis Ababa shall be responsible to the Federal Democratic Republic of Ethiopia. Residents of Addis Ababa shall be represented, in accordance with the provisions of the Constitution, in the Council of Peoples’ Representatives. The special interest of Oromia in Addis Ababa shall be respected in the provision of social services, the utilization of natural resources and in joint administrative matters arising from the location of Addis Ababa within Oromia State. The law shall specify the particulars. As stated above, the basic way we distinguish federal capital governance structure from each other is by asking the questions, “who is in charge of the city?” If the capital city is accountable to the federal government, then the governance structure is federal district. If it is accountable to the state where it’s located, then it’s a city in a state. Thus, based on Article 49.3, of the Constitution that unequivocally states Addis Ababa is responsible to the federal government, there is no question that Addis Ababa is a federal district. There are others who ignore this and try to decide the type of governance structure of Addis Ababa, solely based on the reading of Article 49.5. They reach the conclusion that Addis Ababa is a City in State, and to be specific, a city in Oromia. They claim the specific provision of Article 49.5 that use of the phrase, “special interest of Oromia in Addis Ababa”, and the phrase that states, “… the location of Addis Ababa within Oromia State” leads to the conclusion that Addis Ababa is a city jurisdictionally in Oromia. Let’s first deal with the special interest phrase. Had the constitution envisaged to classify Addis Ababa as a city in Oromia, it would not have used the phrase, “special interest of Oromia in Addis Ababa”. An administrative entity cannot have special interest in what it owns or controls. If Addis Ababa is under its control, Oromia would not need to have special interest in it. On the contrary you can have special interest secondary to the owner or controller of a property or entity, precisely because you do not control or own it. Therefore, the utilization of the phrase “special interest”, rather than proving that Addis Ababa is a city under Oromia, rather confirms that it is a federal district. Others, argue that the phrase, “the location of Addis Ababa within Oromia State,” means that Addis Ababa is a city under Oromia. First, they take the phrase out of context. If you closely look at the phrase, after declaring that Oromia has special interest in Addis Ababa, it provides justification for why that is the case. And it describes that by saying, “…arising from the location of Addis Ababa within Oromia State.” This does not mean that Addis Ababa is under Oromia. The confusion also arises out of mixing up the geographical location (the “where” question) with the concept of “jurisdiction”. This phrase is simply describing the spatial location of Addis Ababa to justify why Oromia has a special interest in it. Acknowledging the location of Addis Ababa vis-à-vis Oromia does not mean putting Addis Ababa under the jurisdiction of Oromia. Yes, Addis Ababa is geographically in Oromia, but it is a federal enclave controlled by the federal government, and hence a federal district. Some of the confusion about the legal status of Addis Ababa arises out of comparisons with the way federal districts are formed elsewhere. In most other federal compacts, federal district type of federal capitals are created by explicit agreement between constituent states. Because there is no explicit agreement between Oromia and other states and the federal government to cede Addis Ababa to the federal government, some may think that Oromia still retains Addis Ababa as its own because it is located in Oromia. However, they fail to understand in Ethiopia the way the federation is formed is very different from the way it is instituted, for example, in the U.S., Canada or Australia. Federations can be formed either through the “coming together” or the “holding together” method. In the “coming together” scheme, previously independent states come together and form a federation. In the “holding together” arrangement, it is a previously one unitary state that decide to divide into smaller constituent units and federalize themselves. This difference has an effect on the way federal capitals are created. In the coming together type, because each entity was separate, they didn’t have a capital city. Therefore, the federal units have to go through debate to agree on the location of the capital, and the state on whose land the city will be built gives the land by cession. In many instances, they create a new purpose-built capital and make it accountable to the federal government, thereby forming a federal district type of capital. In the “holding together” scheme, there is already an existing capital city for the unitary state. In such cases, what is done is usually adopt the existing capital. They could adopt either a federal district, a city in a state or a city-state form of governance. In Ethiopia, federalism was introduced not as “coming together”, but as “holding together”. Because of that there was no protracted discussion on the location of the capital. Addis Ababa, capital since imperial times, continued to be the capital of the federation. In such situations, the city normally and necessarily falls under the jurisdiction of the federal government. It should also be noted that prior to federating Ethiopia in 1995, there was no Oromia that could make a claim to Addis Ababa under the continuity and succession of state theory. Therefore, unless the constitution explicitly designates Addis Ababa as a city in Oromia, it could not by implication or by implicit dimension of the law be categorized under the jurisdiction of Oromia. If we look at the legislative history of the constitution, we again reach the same conclusion that Addis Ababa is a federal district. The 1991 Transitional Charter is silent about Addis Ababa. However, within a few months of the establishment of the Transitional Government, a proclamation to provide for the establishment of national/regional self-governments was passed. This was the time when OLF was still in the government. Before the passage of this proclamation, OLF representatives argued that Finfinnee is part of Oromia and should be included under the jurisdiction of Oromia. However, Meles and company did not accept this and Addis Ababa was incorporated in the proclamation as one of 14 regional states. Even though there was no formal federalism at this time, this is almost like launching Finfinnee as a city-state. To placate OLF also, the phrase, “special interest,” which was later used in the 1995 constitution, was inserted in the proclamation. This leaves no room for any doubt that a purposeful decision was made not to include Finfinnee under Oromia’s jurisdiction. The statutory development since then, further affirms that Addis Ababa is under the clear control of the federal government. Proclamation 87/1997, for example, granted autonomy to Addis Ababa to establish its own council. In the proclamation, the federal government reserved the right to override decisions of the city government and to dismiss it. Article 10, specifically states, “the Prime Minster of the Federal Government shall have the power to dissolve the Council where he deems it necessary, and to order the election of a new Council within a year.” This kind of power by the federal government over a capital city is a typical manifestation of the existence of a federal district type of arrangement. Based on the above, we know that Finfinnee is a federal district city that is not legally under the jurisdiction of Oromia, but Finfinnee is still its capital city. This means Oromia has a capital city over which it has no jurisdiction or control. It is a guest in its own historic land. However, we also know that demographically, culturally and economically this is not an Oromo city. Seen against such a complex backdrop, what solution best serves Oromia and Ethiopia? With perhaps close to a population of four million, Addis Ababa is by far the largest city in the county. The next biggest cities, Adama, Bahir Dar, Dire Dawa, Gondar, Hawasa and Mekele have far less than 500,000 people. 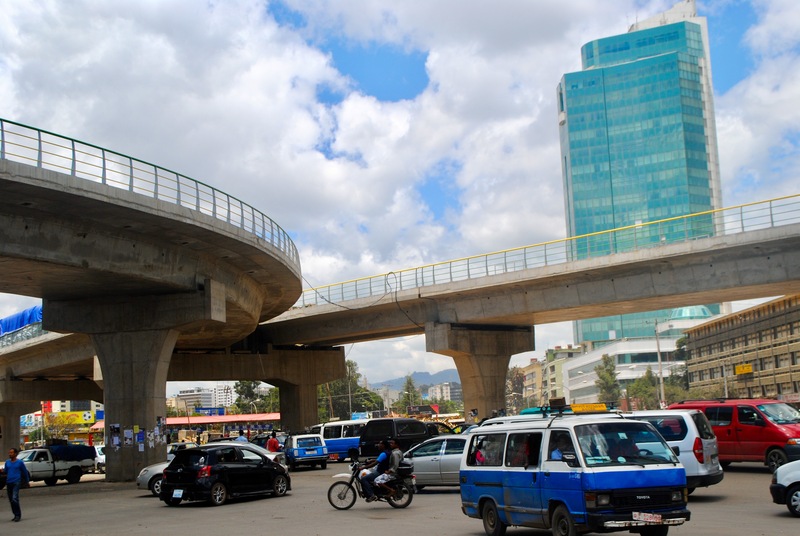 Of the 13 million urban dwellers in Ethiopia, about 30 percent live in Addis. Not only is Addis Ababa a political capital, it is also an economic, social and cultural capital. Investment and infrastructure projects are disproportionally focused on the capital. Long before Menelik’s wife, Tayitu fell in love with the environs of Finfinnee and decided to relocate here, the Oromo clans, Abbichuu, Eekkaa, Galaan and Gullalle, lived for generations in this area. Contrary to those who want to deny the connection between Oromos and Finfinnee, when Tayitu moved into the neighborhood this was not a vacant land. As time passed and with the growth of the city, the Oromos who lived on this land for generations had to be evicted. The space was needed for others who were required to be in the capital around the king’s palace and court. Within few generations, this city that was built on Oromo land and flourished on Oromo natural resource and wealth, morphed into an alien terrestrial island in the midst of Oromos. The current recorded demographic makeup of Addis Ababa is: Amhara 48.3 percent, Oromo 19.2 percent, Gurage 17.5 percent, and Tigray 7.6 percent. Even though Addis Ababa is demographically, to an extent, a multiethnic city, it is culturally through and through an Amhara city due to assimilation. Contrary to the claim of some who assert Addis Ababa is non-ethnic as a result of being a melting pot, Addis Ababa is rather one giant assimilationist machine. Even if we assume it is a melting pot, they are all the other ethnic groups that “melted” and lost their identity, while the Amhara by and large maintained their core Amhara identity. Any change to the Amhara that occurred by being Addis Ababan is a superficial change. For Oromos, Addis Ababa has been from its inception to present, albeit to a lesser extent now, a graveyard for Oromummaa. One of the salient features of any federal constitution is that it is extremely cumbersome to amend any of its provisions. Even if you control all the branches of the federal government you still cannot amend a constitution unless you get a buy-in from a significant number of states. Under the Ethiopian constitution, even to initiate a constitutional amendment, the proposal should be supported by a two-thirds majority vote in the House of Peoples’ Representatives, or by a two-thirds majority vote in the House of the Federation or one-third of the State Councils of the member States of the Federation. After the amendment is tabled, to pass as an amendment, two-thirds majority of the joint session of the House of Peoples’ Representatives and the House of the Federation should support it, and then two-thirds of the Councils of the member States of the Federation should approve it. Only an idea that has an overwhelming nationwide support can muster such a required super majority vote and end up amending the constitution. To say removing Addis Ababa from federal jurisdiction and putting it under Oromia is an unpopular idea amongst non-Oromos is an understatement. Almost only Oromos subscribe to this idea. If this is true then, given the demographics of the country, it’s almost certain that such an idea will not even pass the first hurdle of the requirement to initiate an amendment in parliament. Even if by any miracle it passes the initiation stage, there is no way that this could garner two third vote in the houses, and most important, there is no way that two thirds of state councils (six states) will support this idea. There just aren’t the votes to amend the constitution and move Finfinnee under the jurisdiction of Oromia. One of the factors that counters the effort of putting Finfinnee under Oromia is the ethnic composition of Addis Ababa itself. As shown above, close to half of the population are Amharas. Gurages and Tigrayans have also more than their countrywide ethnic representation in the city. Thus, it’s almost certain that because they will be influenced by their constituents, Amhara and Tigray states will not support this move, and most probably the Southern state will also not vote for it. Thus, this constitutional amendment idea is dead on arrival. The other factor that works against the idea is related to the pivotal importance of Addis Ababa to the country, both economically and culturally. Looking at the issue from the perspective of other ethnic groups, it is understandable why the idea of placing Addis Ababa under one single state, Oromia, can make them uncomfortable, because they believe such an action gives an unfair advantage to Oromia vis-à-vis other states. Unlike the other identity-related issues, when it comes to the question of Addis Ababa, they are not only the Ethiopian nationalist who are against it, but almost uniformly, with very few exceptions, all other nations or ethnic groups. This is partly due to the overwhelming dominance and importance of Addis Ababa to the country. In fact this is one of the issues that puts Oromos apart from all the others and contributes to isolating Oromos. If changing the status of Finfinnee through the constitutional amendment is impossible, or very unlikely, then what should be the solution? Should we continue with the status quo? The status quo means that Finfinnee will be the capital city of both the federal government and Oromia, but it’s only the federal government that will have jurisdiction over it. Is this acceptable to Oromos? Should the Oromia state perpetually be a guest in its own people’s ancestral land? One of the reasons that the Oromo empowerment took such a long time, I believe, is due to the low level of urbanization of the Oromo population, and due to the lack of one dominant urban center inhabited by Oromos. The low level of urbanization in Oromia could be attributed to the way most towns and cities in Oromia were established; most began as garrison towns. Due to this they were excluded or excluded themselves, and the rate of Oromo population in towns and cities is much lower than our northern counterparts. Only 12 percent live in urban areas in Oromia. In fact, Ethiopia as a whole is also comparatively one of the least urbanized nation in the world. The urban population of Ethiopia is 19 percent. This is one of the lowest in Africa and the world. Sub-Saharan average of urbanization is 37 percent. However, even though it’s one of the lowest, Ethiopia’s rate of urbanization is at the same time one of the fastest growing in Africa. The urban population is projected to be 30 percent by 2028. Urbanization is essential for any society for several reasons. Denser populations are necessary to form a complex economy and urbanization has been a basis of industrialization. Urban centers are also the center for the development of arts and culture. Even when we come to poverty, there is a stark difference between the urban-rural poverty rates. For Example in Ghana it is, 22 percent versus 34 percent and in Kenya, it is, 29 percent versus 46 percent. Thus, there are good reasons why we want urbanization for the Oromo population, one being the inability to develop a strong Oromo middle class that could be the foundation for economic, social, political and cultural development. Without creating a strong middle class, Oromia could not play a leading role in the country commensurate with its population size. Even if it plays that role its leadership will be tenuous at best. Addis Ababa is by far the biggest urban center in Ethiopia. By virtue of this and by virtue of being the capital city, it attracts a young educated and entrepreneurial population. Oromia is losing to Addis Ababa its young and most educated and potential entrepreneurs. Even though it is currently improving a little, the progeny of those who move to Addis Ababa are assimilated. In just one generation many of them lose their language and do not speak Afaan Oromo. Even looking from a national economic development aspect, it’s not economically or otherwise healthy for the federation to have such a mono-dominant city as Addis Ababa. In short, Finfinnee is a focal point of convergence where all of the country’s contradictions meet and divergent interests collide. Addis Ababa is territorially or geographically in Oromia, culturally and linguistically non-Oromo, jurisdictionally under the federal government, while serving simultaneously as a capital city of Oromia, where its residents also wants to have a say in its governance. Therefore, unless we carefully consider all vying interests and come up with a creative solution, the conflicts associated with Addis Ababa could take down the whole country. First, we should effectively and to the utmost use the provision in the constitution that talks about the “special interest” of Oromia in Addis Ababa to convert it into a multicultural metropolis that also reflects the culture and interest of Oromia. And not only should Addis Ababa’s territorial encroachment into Oromia be stopped, but the expansion since 1995 should be reversed, and Oromo farmers who were illegally or unfairly evicted should be compensated. But my key proposal is for Oromia to move its seat of government out of Finfinnee and move it to a purpose-built city somewhere in Oromia. This means by and large building a brand new city from ground up. The first and foremost reason for this proposal is driven by Oromia’s nation-building interest, i.e., unity of Oromia so that it remains politically stable and viable in the long run. In the modern era, Oromia had its own government only in the last 27 years, and all these years Oromia did not have a real capital city. By this I mean Oromia did not have a capital city that it controlled. Even though nominally or formally Finfinnee is the capital city of Oromia, in a real sense it’s not Oromia’s capital city; it’s only a seat of the government of Oromia. A nascent and aspiring nation as Oromia can in the long run strengthen its national cohesion only by having a capital city that it controls. A capital is a symbol of a nation and government, and Oromia is missing this symbolic element needed for building a modern nation. Oromia is a huge region inhabited by a population with a diverse religion. Moreover, Oromia is composed of several Oromo tribes (gosa). Having one centralized Oromo capital will go very far in bridging the gap between different branches of Oromo. Moreover, it will help in standardizing the language furthermore because Oromos from every corner of Oromia and every walk of life will be inhabiting, interacting and mixing with each other in the common capital thereby creating an Oromo urban identity and cementing Oromo unity. The role of a capital city for nation building and national cohesion cannot be underestimated. The power and centrality of Oromia could be best expressed through having a capital city that represents a common Oromo identity and also manifests the power and highpoint of the nation, Oromia. Such a role cannot be played by any one city among many equals, but only by a capital city. It’s hard to find in any country in the world or in any federation anywhere, a nation comparable in size to Oromia that does not have control over its own capital city. In Ethiopia, while all the major regional states have their own cities they control, Oromia still does not have one major city that all Oromos look up on as their own common city. If we want to urbanize Oromia more effectively, building up a capital city from ground up would be more effective and achievable rather than focusing or relying on developing already existing towns. Such a capital city, in addition to serving as a center of cohesion, will be where Oromian urban identity and culture that will be a trendsetter for the rest of Oromia will be shaped. As we have seen above, most cities and towns in Oromia started as garrison centers. As a result, to some extent they reflect the character, culture and demography of the empire era. If we build our own city we will no longer be shackled by such limitations and negative legacies. If we decide to build a brand new capital city, taking into account our people’s needs, we will build it in our character and image, starting from the architectural style, monuments, museums, names of streets and others. While moving out of Addis to a purpose-built city has a huge value for Oromia in bolstering national cohesion and serving as a springboard for Oromia’s urbanization, it also can play a very essential role in averting a potential crisis or even a civil war in Ethiopia. Because of the historical reasons and because of the location of Addis Ababa in Oromia, there is a huge and real demand from the Oromo population to have Addis Ababa under the jurisdiction of Oromia. For all the reasons stated above, the possibility that this could be peacefully achievable is almost nil. If we don’t want to make Finfinnee a flashpoint for the coming generation, and if we don’t want to turn it into Jerusalem, then the proposal should be pursued. 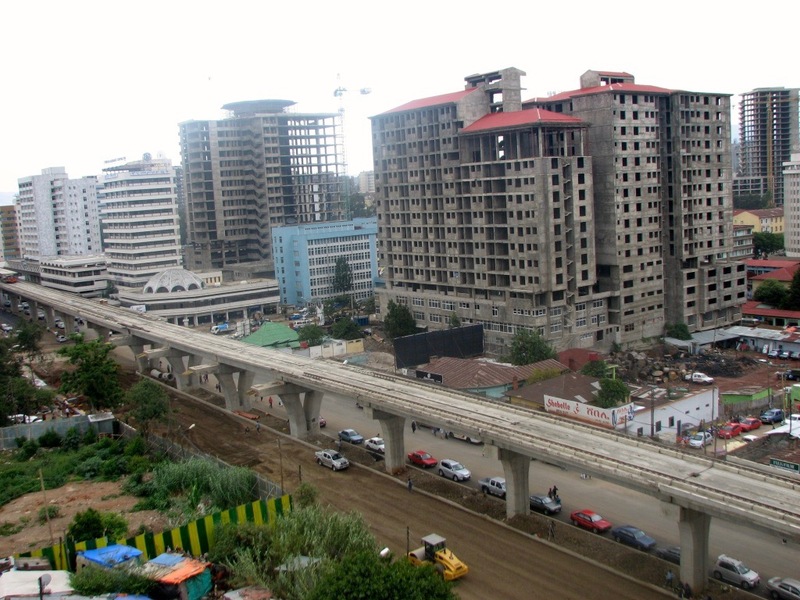 Building a new planned capital city for Oromia resolves the potential crisis that may come from the claim over Addis Ababa. One thing is for sure, building a city is not an overnight project, and this is not a quick-fix scheme; it’s not going to be short distance run but a marathon. This will take two or three decades. It is a long-term undertaking to resolve one of the most intricate and protracted problems that needs a comprehensive and enduring solution. This is not just any project, it is a project that will in the long-run determines the role the Oromo people can play in Ethiopia, the Horn and the world. Thus, if looked at from this angle, then no money is too much, and no time is too long to bring this project to fruition. What Should Starving Ethiopians do to Help Themselves?